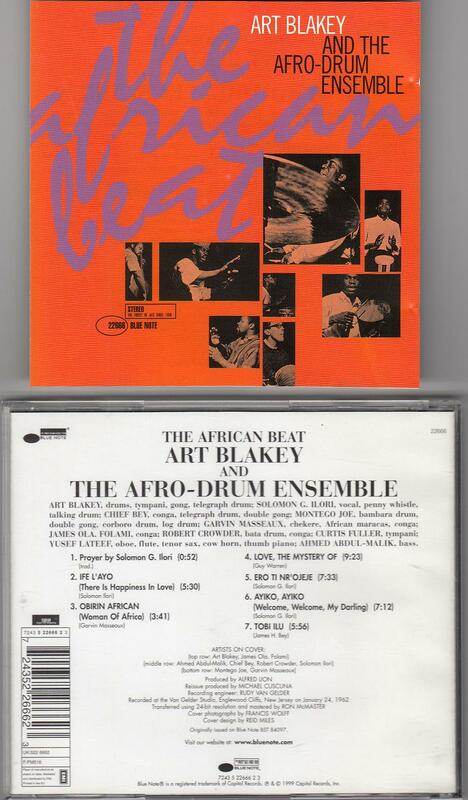 In 1962, Art Blakey recorded The African Beat not with his quintessentially swinging Jazz Messengers but a percussion ensemble. 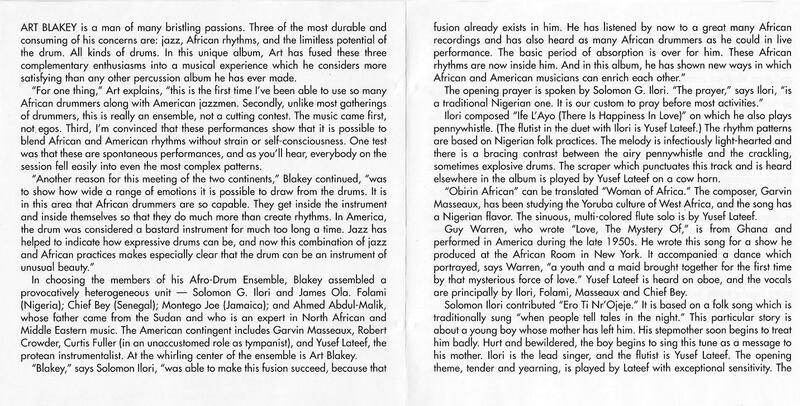 Yusef Lateef, who also recorded modern jazz albums using Asian and African ideas, joins the ensemble. The result is a sumptuously rhythmic album that often gets overlooked, perhaps due to its defiance of easy categorization. Nat Hentoff’s liner notes give a brief but enlightening explanation of the music’s sources and the musicians’ cultural backgrounds. I recommend The African Beat for fans of jazz, percussion, “world” music, and African music. 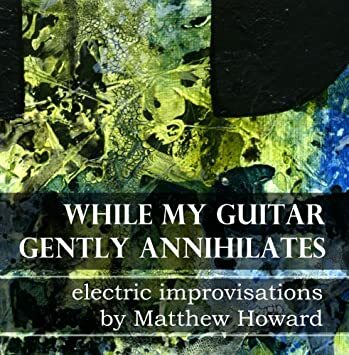 Fans of jazz/rock fusions and prog rock might also like this album, if they want to expand their listening into some other types of musical fusion. Get a copy from Amazon.